Working as part of a startup is always challenging. Working in a startup as a founder or co-founder is even more challenging. Here we are trying to come up with a list which every startup founder should know. Try to be profitable as fast as possible. (in 6 months or 1 year). Every person in your payroll adds up to the expense list. So plan yourself before taking a new hire. Don't waste your time trying to take stock of your inventory daily. If you are more productive utilizing that time for real development for your startup...do that and outsource the other. As working in a startup you should be ready for anything come on your way. 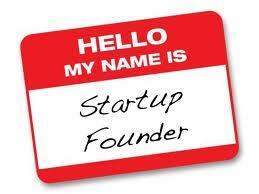 You have to be a founder, a manager, a developer, a storekeeper, an accountant etc. Because you don't have the luxury of hiring professionals for each kind of work. The deadlines and requirements of your clients will be tough to meet as you are starting up. Established firms can stick to their stand or have the luxury of saying a polite No to unreasonable things. So as a startup founder, you have to be redy to work for 12 to 16 hours daily to get it going without any stop. Social media is the new buzz word in marketing. Start to get engaged in social media, because we know a lot of people are interacting a lot in the social media sites like facebook, twitter, linked in etc very similar to the way they interact in the real world. So your presence there is very important. Don't ask your system admin or clerk to do this because you represent the company so you have to do this your self. This will help to build a brand image for your startup very fast. You cant make a perfect product the time you are starting up. So always sell the best you have at that time. Be ready to change according to the feedback you are getting. This change should be fast. If the pricing is wrong to change it fast. If the product positioning is wrong change it asap. The key to being successful is to enjoy doing the work you do. So make sure you are enjoying the work you are doing as a startup founder. It will be like a rollercoaster ride but be sure you enjoy it. If you are not, as yourself why? If you are not enjoying it you will not be able to stick to it until you see the light at the end. So be sure you are enjoying the ride.